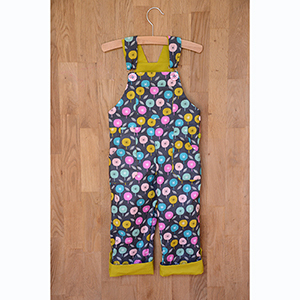 A unisex dungaree pattern for children. 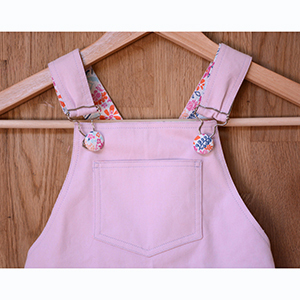 With contrast facing for straps, bibs, pockets and turn-ups. 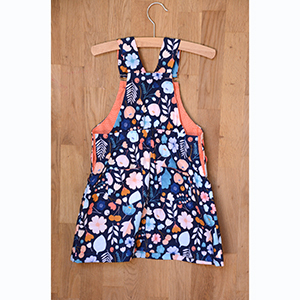 Keeping in mind practicality, the pattern features an elasticated back waist, and buttons on the side. A dress version is also included. This pattern is available in sizes age 3 to 9. 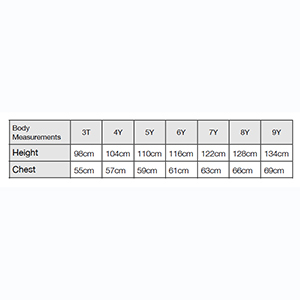 Please see size chart for details. Suggested fabrics are vegan leather, ponte de roma, medium weight woven fabrics, such as cotton, cotton blends,linens, denim, and pincord.